A new Ready2Print scenery piece is ready for download and 3D printing! AoW Ready2Print, is AoW new line of scenery pieces, digitally sculpted and specifically designed for easy desktop 3D printing at home. The future is here! 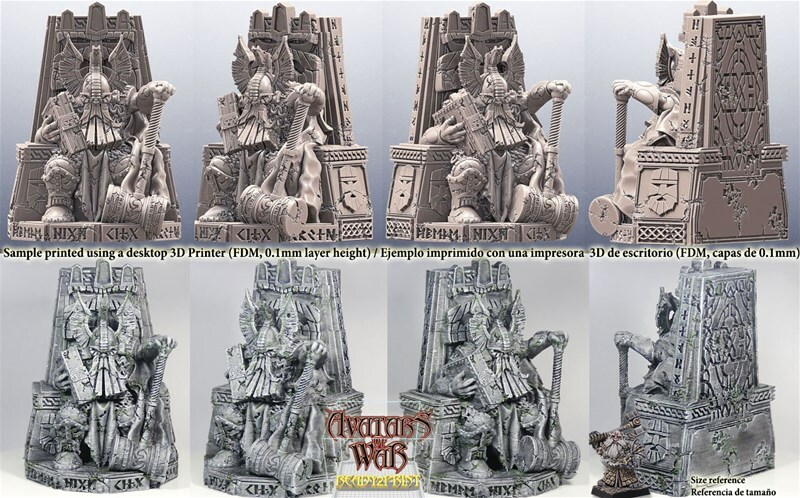 Automatic delivery, no shipping costs, and you can 3D print each scenery piece as many times as you want, in addition to rescaling it in your 3D printing software to adapt it to the size you prefer! Welcome to the second 0-hr.com "small-ship" campaign! It features “half size” posters that are 18x24 inches (instead of the usual 24x36). 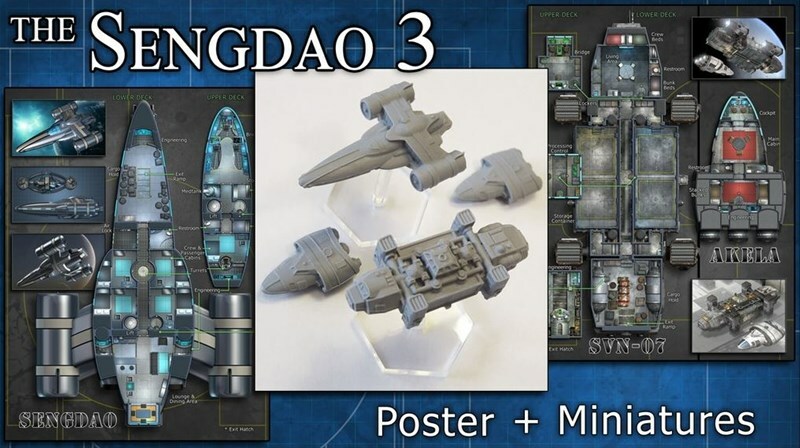 There are three small ships presented and miniatures for all three are available. This will also be a fast campaign – just over two weeks long! This campaign presents the Sengdao-class yacht, the SVN Prospector, and the Akela-class shuttle. These small craft fill both sides of the 18x24 inch poster and the matching miniatures are sold as a set for extra savings. Digital documentation is also provided to describe the ships, their interiors, and history.